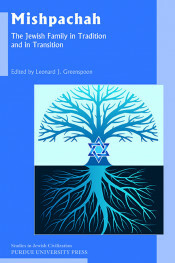 Dictionary definitions of the term mishpachah are seemingly straightforward: “A Jewish family or social unit including close and distant relatives—sometimes also close friends.” As accurate as such definitions are, they fail to capture the diversity and vitality of real, flesh-and-blood Jewish families. Families have been part of Jewish life for as long as there have been Jews. It is useful to recall that the family is the basic narrative building block of the stories in the biblical book of Genesis, which can be interpreted in the light of ancient literary traditions, archaeological discoveries, and rabbinic exegesis. Rabbinic literature also is filled with discussions about interactions, rancorous as well as amicable, between parents and among siblings. Sometimes harmony characterizes relations between the parent and the child; as often, alas, there is conflict. The rabbis, always aware of the realities of life, chide and advise as best they can. For the modern period, the changing roles of males and females in society at large have contributed to differing expectations as to their roles within the family. The relative increase in the number of adopted children, from both Jewish and non-Jewish backgrounds, and more recently, the shifting reality of assisted reproductive technologies and the possibility of cloning human embryos, all raise significant moral and theological questions that require serious consideration. Through the studies brought together in this volume, more than a dozen scholars look at the Jewish family in wide variety of social, historical, religious, and geographical contexts. In the process, they explore both diverse and common features in the past and present, and they chart possible courses for Jewish families in the future.